Developer Mehmed Ali Caliskan from Turkey has a blog post up from a few years ago where he explores the Delphi random number generator. He built a cross platform test application in Firemonkey for Windows and Mac OSX which test the Delphi random number generator and also tests the same data against the Random.org API. He built this test application before Android support (and probably IOS support) was available but you should be able to upgrade it to support Android and IOS if you want to test it out for yourself on those Firemonkey platforms. At the end of the article he concludes that Delphi’s random number generator is decent (not unnatural in it’s results), comparable to Random.org results, and passes his test. There are two graphs showing the random numbers from Random.org and the Delphi random function. At 100,000 tests you can see that the two graphs are very similar. 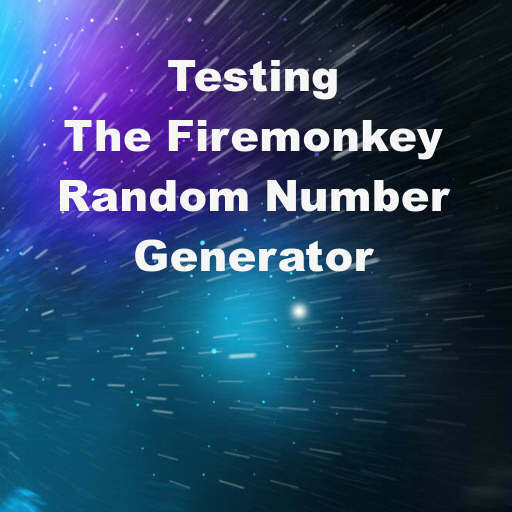 Head over and read the full blog post about the nature of randomness and testing the Delphi Firemonkey random number function. Or head directly to Google Code and download his demo project for testing the Delphi random function yourself.